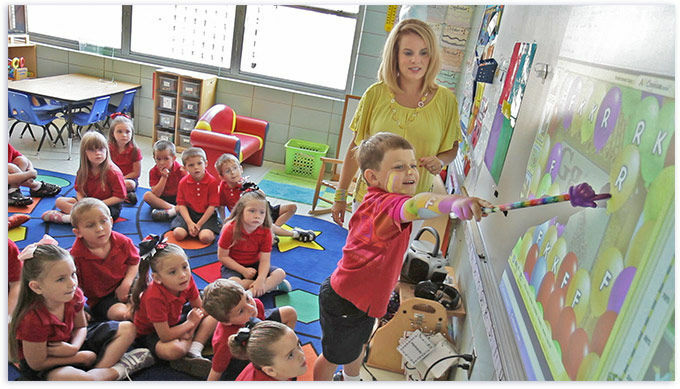 Is Your Child Academically Prepared for Kindergarten? 10 Ways to Find Out! Completely child safe – no advertising or outside links. Below is a list of 10 ways parents can determine if their child is kindergarten ready, along with tips on how to help your child transition smoothly into kindergarten. Listens to and understands stories. Start by reading full storybooks without any interruptions. As you read together, engage your child with questions about the plot and characters. Can retell stories and tell original stories. Have your child reread familiar books and try to retell them. Read nursery rhymes to your child, then have your child reread them to you. Have your child practice matching socks from the laundry. Practice matching earrings or shoe pairs. Encourage your child to build confidence in learning with ABCmouse.com! Can sort objects by their attributes: color, shape, and size. Color: Ask them to place all of the same colored objects in one container. Shape: Ask them to point out all the circular things around the house. Size: Ask them to put bigger towels in one container and smaller ones in the other. Encourage your child to count objects out loud (e.g. the number of stairs or the number of black cars they see). Ask them to point out numbers in an elevator, on a TV remote, or on coins. Ask your child to mix watercolors to see which new colors are produced. Ask your child to name the colors around in the room, on their clothes, and in a crayon box. Begin with distinguishing letters in your child’s name by writing and sounding them out. Point to letters while reading a book to your child. Begins to understand that letters stand for sounds heard in words. Write your child’s name on a whiteboard to show how words are formed. Sound out letters with your child and associate it with an animal name or familiar object. Begins to “write” by scribbling, drawing, or imitating letters, numbers, or shapes. Give your child a piece of paper and a pen so they can start scribbling and drawing. Hold your child’s hand while holding a pen or paintbrush and make them shadow you while writing their name on a paper. Understands how some words are opposites: up/down, big/small, tall/short, etc. Point out examples of opposite things to your child (e.g. a big piece of chocolate vs. a small piece). Ensuring that your child has a smooth transition into kindergarten involves many aspects outside of academics. By helping your child become familiar with the topics they will encounter in school, you can help them build confidence and enjoy learning in a school setting. A recent study found that ABCmouse.com accelerates learning, with children developing early literacy and math skills significantly faster. Kids never stop learning with access to over 7,000 activities including books, games, puzzles, and much more! 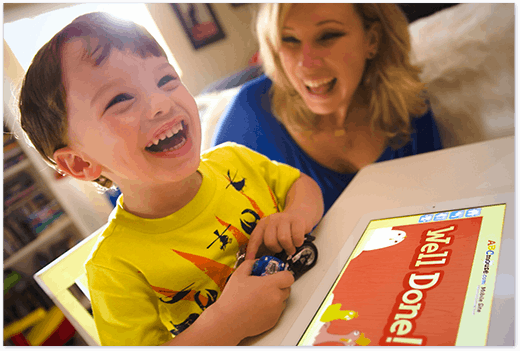 Click here to find out why parents choose ABCmouse.com and how you can help your child love to learn!